Peyton Kieffer Joins the Prida, Guida & Perez, P.A., Team | Prida Guida & Perez, P.A. 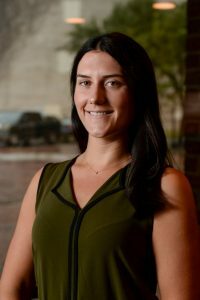 Tampa, Fla (October 16, 2017) – Peyton Kieffer, a certified public accountant has joined the Prida, Guida & Perez, P.A., team to continue her career in tax prep, planning and consulting. Kieffer is no stranger to the profession, having spent the past three years at Gregory, Sharer & Stuart, CPAs assisting clients in industries such as healthcare, real estate, insurance and non-profits, in addition to some time at PricewaterhouseCoopers, LLP. “My father has worked with [PGP&C] and I’ve always heard great things about the firm,” says Kieffer, a Tampa native and Florida State University graduate, who holds a Bachelors in Finance and Accounting. In addition to being a member of the FICPA and AICPA, Kieffer volunteers at Northeast High School’s Academy of Finance, speaking with students and helping them plan for college and apply for scholarships.